A new breakthrough in concrete by Australian advanced materials technology company, Talga Resources promises to revolutionise a broad range of existing and emerging transport applications. Talga has achieved high levels of electrical conductivity in concrete by using an additive developed by their graphene-graphite research and development laboratory in the UK. Given how concrete is the world’s largest construction material by volume (5 billion tonnes/year worth US$450 billion annually), Talga’s graphene-infused electricity-conducting concrete could find use in applications involving underfloor heating, anti-static flooring, EMI shielding, strain sensors, and grounding/ lightning protection. The technology might also find use in emerging applications such as solid state heated roads, providing an environment-friendly way to clear ice and snow from important transport routes and airport runways. 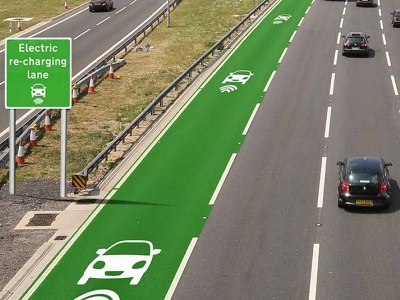 Future applications could include dynamic and wireless charging of electric vehicles while driving. Based on the initial test results, Talga managing director, Mark Thompson says their graphene-enhanced concrete achieves such high electrical conductivity that it can act like the heating element of an electric stove. When combined with Talga’s thermally conductive concrete, this new type of concrete has some exciting, large volume, scalable and eco-sensitive applications. The concrete samples were manufactured at Talga’s 100 percent-owned German process test facility and the Betotech (Heidelberg Cement Q&C) laboratory in Germany using industry standard cement along with of Talga’s pristine graphene, graphite and silica-rich by-product of ore processing. The UoM tests recorded the Talga graphene enhanced concrete as having high electrical conductivity (low resistivity) to 0.05 ohm-cm. Talga will target value-added graphene and graphite products covering the energy, coatings, composites and construction sectors. Initial customer testing is already underway on lithium-ion batteries and a range of energy storage technologies; metal pre-treatment, marine epoxy and other coatings; cement/concrete additives; and epoxy resins for carbon fibre (composites).